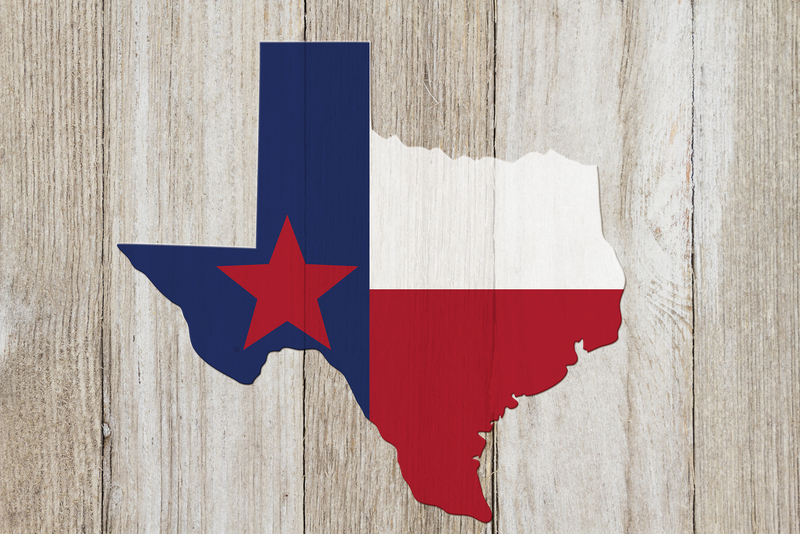 Texas lawmakers were busy this year, passing a bounty of bills (673 to be exact) during the regular legislative session in the spring. Gov. Greg Abbott signed many of the measures into law. So will any of these new regulations affect how North Texans go throughout their day? Ranging from obvious to outlandish, here are eight of the laws that recently went into effect. House Bill 3535 states that a landowner may contract to participate as a hunter using a hot air balloon to shoot feral hogs or coyotes. Let’s look at the logistical challenges. Professional balloonists say that the burners in the balloons make a horrendous roaring noise that would scare everything away. Also…because balloons float on the wind, they couldn’t circle a pack of feral hogs while the hunters tried to shoot them. This law was passed as another attempt at curbing the feral hog population in Texas. With more than 2 million of the destructive creatures responsible for about $400 million in damage every year, a “pork-chopper” bill (allowing hogs to be hunted from helicopters) has been on the books since 2011. In the last decade, several bizarre feral hog attacks have been reported in the Fort Worth Nature Center, along the Trinity River and on many private residences in North Texas. Set into effect on Sept. 1 of this year, House Bill 62 ensures that Texans will no longer be able to read, write or send an electronic message on a wireless communication device while operating a motor vehicle unless the car is stopped. Fines for doing so will range from $25 to $99 for a first offense. The law also states that if a car accident caused by texting and driving results in the death or serious bodily injury of another person, the offender can be charged with a Class A misdemeanor punishable by a fine not to exceed $4,000 and confinement in jail for a term not to exceed one year. In Tarrant County last year, there were 22 fatal crashes, 236 incapacitating injury crashes and 1,851 possible injury crashes involving distracted driving, according to Texas Department of Transportation records. North Texans that want to exercise their Second Amendment right to bear arms can now do so for much cheaper. Once costing citizens $140, gun licenses in Texas now cost $40 (the lowest in the nation). It’s now legal for those in the Lone Star State to carry swords, machetes, sabers, spears, and knives with blades longer than 5.5 inches in public. This law met a lot of resistance when just months before it went into effect, a University of Texas at Austin student stabbed four fellow students on campus with a large hunting knife. House Bill 25, which won’t go into effect until Sept. 1, 2020 (just before the next election), makes “one-punch” straight-ticket voting illegal. Supporters of the law say this will force voters to become more informed about the political candidates. Opponents have warned the measure will lead to longer voting lines. *Quick Fact: Of the 1,457,806 members of the voting age population in Tarrant County, 45.7 percent turned out to vote in the last election. According to House Bill 478, a person who, by force or otherwise, enters a motor vehicle for the purpose of removing a vulnerable individual (i.e., child) is immune from civil liability for damages resulting from that entry or removal. Essentially, they cannot be sued for damages if they had good faith and reasonable belief, based on known circumstances, that entry into the motor vehicle is necessary to avoid imminent harm to the individual. From 1998-2016, there have been at least 107 children in Texas alone who’ve died after being left in a hot car. House Bill 1424 prohibits the operation of unmanned aircraft (drones, quadcopters) over correctional facilities and detention centers (jails, prisons), as well as over sports venues (arenas, automobile racetracks, coliseums, stadiums, or other types of areas or facilities that have a seating capacity of 30,000 or more). The regulation is designed to protect the public from weapons that drones could possibly carry and to prevent drones from sneaking inmates drugs or contraband. Named after a 16-year-old student, David Molak, who took his own life after enduring relentless cyberbullying, David’s Law mandates that public and private schools adopt policies relating to cyberbullying and include a provision that would require the reporting of potential bullying offenses to local law enforcement. The act provides that a person commits an offense if the person directs multiple written, oral or electronic communications toward a child in a manner that is reasonably likely to harass, annoy, alarm, abuse, torment, embarrass or offend the child, with the intent that the child commit suicide or engage in conduct causing serious bodily injury. Brad Parker weighs in on some of the new laws passed in Texas. Q: Why do you think it took as long as it did to pass the texting and driving ban in Texas? Q: How would you advise someone who finds a child locked in a hot vehicle? A: “Immediately call 911, and depending on the condition of the child, break the window and get them out. Q: What is your opinion of drones and the new regulations involving their utilization? A: They can have a positive use, such as photography at weddings, as long as everyone being photographed by the drone has given consent. I see it as being a problem when it becomes an invasion of someone’s privacy. They can also become a safety concern if they are not operated responsibly. I compare it to driving a car. You can’t just drive anywhere you want, and you shouldn’t be able to fly anywhere you want. Restrictions are imperative.